Ferris wheels are classic and they are a ride that every child loves. They are hard to resist because they are so colorful and happy looking. 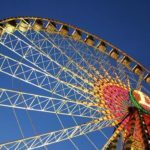 Children can’t wait to ride Ferris wheels and they are often one of the most sought after rides in the kiddie section. If you don’t have one, you need to consider putting one in because they will provide a great return on your investment. 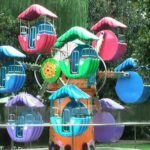 Mini Ferris wheels are a small version of large Ferris wheels and are meant to be installed in the kiddie section. These small wheels save space while also looking very impressive and they will stand out when you place them at the front of the kids section. 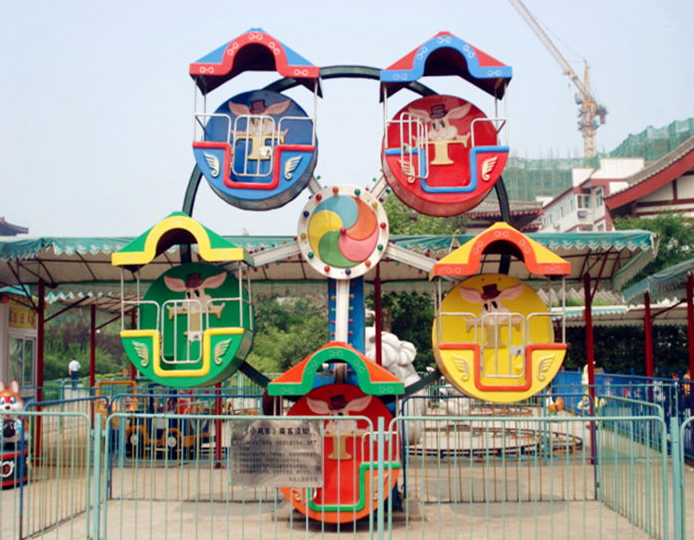 The wheel itself is very colorful and the cabins are colorful as well. Small children can’t wait to climb in them and start enjoying their ride. The wheels can fit two passengers and there is enough room for an adult to ride as well. 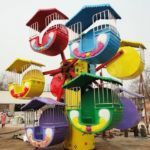 The ride is perfect for toddlers and very young children because it moves slowly and goes up just high enough for the child to enjoy a great view. It makes a nice family ride because parents and children can enjoy the ride together. The price for the mini Ferris wheel is very affordable and the investment you pay will definitely be worth it because the ride will pay for itself over and over again. It will also draw more kids to kiddie area and this is always good for business. Kids will want to come back to the theme park over and over again so they can ride the wheel. 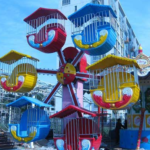 Mini Ferris wheels are high quality rides and very safe. They are also very reliable rides and don’t require much maintenance to keep going. 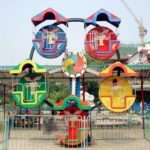 The rides feature bright and happy lights and music that further enhance the riding experience and make the ride even more attractive for children. The ride is easy to operate and the operator can control how long the ride runs for. The ride is also easy to load and the line will move fairly quickly once the ride is in operation. The ride looks sharp and is built to last with reinforced fiberglass cabins and four layers of paint. The ride won’t rust out or suffer from fading paint for a long time and just needs cleaning from time to time. The price point is affordable and you can even have the ride customized to fit in with the rest of the colors in the theme park. You also need to make sure that you get more than one quote before you purchase the ride for your park. 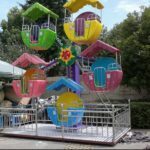 Mini Ferris wheels are going to be the focal point of the kiddie area and the kids are not going to be able to resist riding on it. 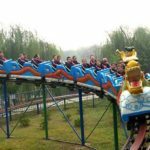 This is a ride that you are definitely going to want to add to your theme park and the investment will pay off.